I am a fan of wireless Bluetooth earbuds, and these types of earbuds have been the focus of my search to find the best fit for me. 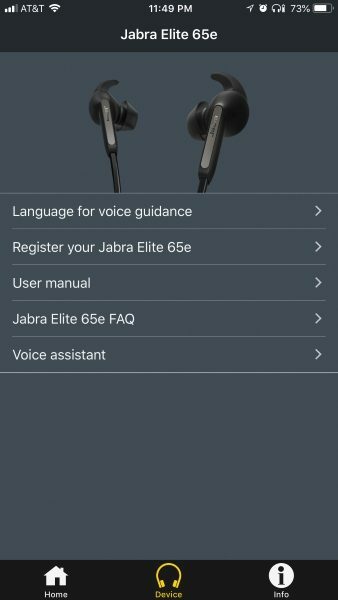 When I first got the chance to review the Jabra Elite 65e Wireless headset, initially I was not very interested because the design included a wire from earbud to earbud. However, I decided to give them a chance. Here is how things worked out. 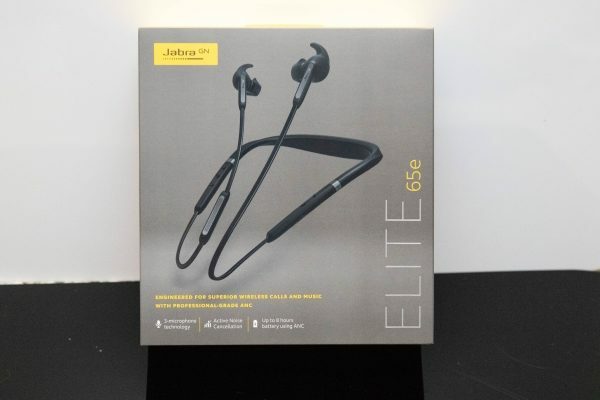 The Jabra Elite 65e headset is a wireless Active Noise Cancelling headset that provides access and functionality for music listening and cell phone functions via Bluetooth. 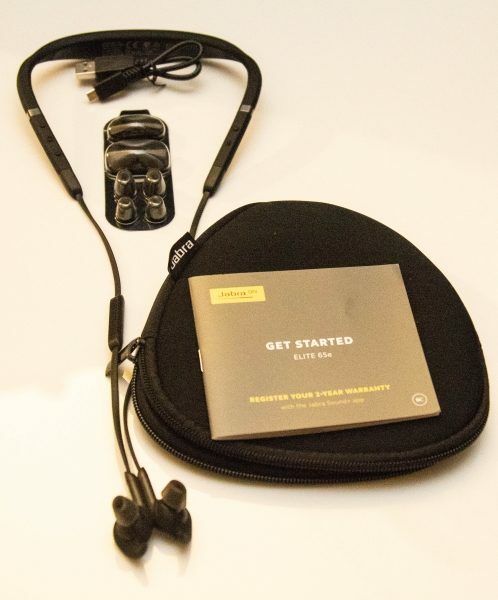 The Jabra Elite 65E headset is designed as 2 earbuds that are connected by a wire that incorporates all of the controls and the charging option. The middle of the wire is built thicker and of a rubber material, and forms the neckband that when worn properly, rests around your neck. The included pairs of EarGels and EarWings come in 3 different sizes and can be easily interchanged for the best fit. When worn correctly around your neck, the left side of the neckband contains 2 controls and a LED. The top round button pictured below is the Active Noice Cancellation/HearThrough Button. Holding this button down for 2 seconds will toggle this feature on or off. 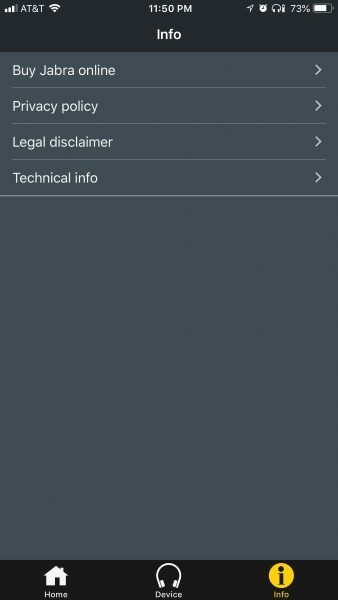 The microphone symbol button below is used to activate Siri or Google Now, and to mute and unmute the microphone. 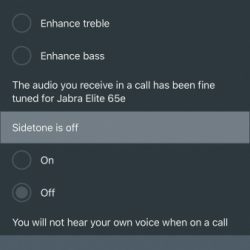 In addition, when the headset is on, holding down the microphone button for 5 seconds will toggle the voice guidance on or off. – When using a Smartphone/Tablet and listening to music, press the + or – button for 1 second to skip a track forward or backward. 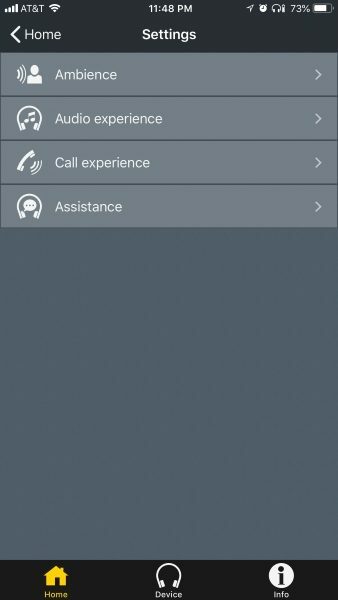 – When not listening to music or when not on a call, press the + or – button to hear the battery status. Above the buttons, there is a status LED that indicates battery level for full, medium, low and very low, and pairing mode and resetting. 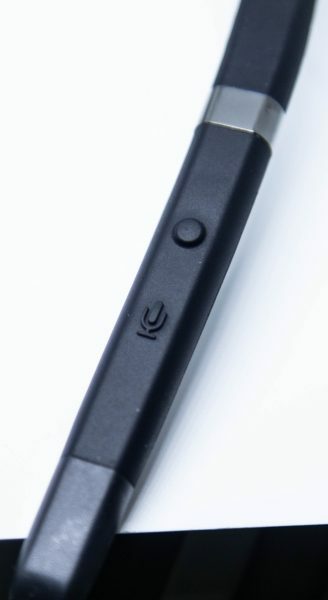 On the right side cable between the neckband and the earbud, there is a microphone in the middle. 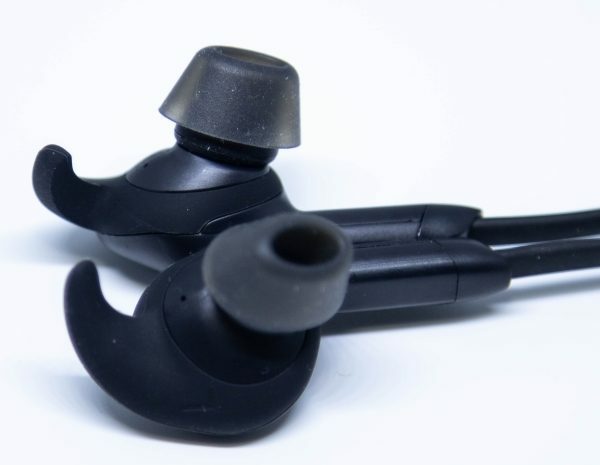 As a part of the earbud section of the headset, each earbud has a magnet built-in. The magnets allow you to attach the 2 earbuds together when wearing them for added security, cable management, and power management. 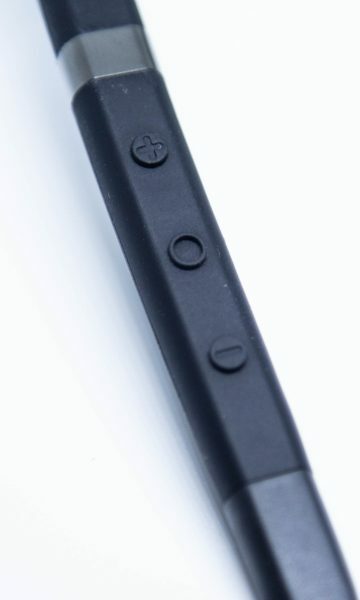 If you connect the earbuds together via the magnets while listening to music or on a call, the music will be paused or the call will be ended. 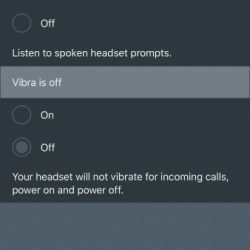 If you are receiving a call, separating the earbuds will answer the call. 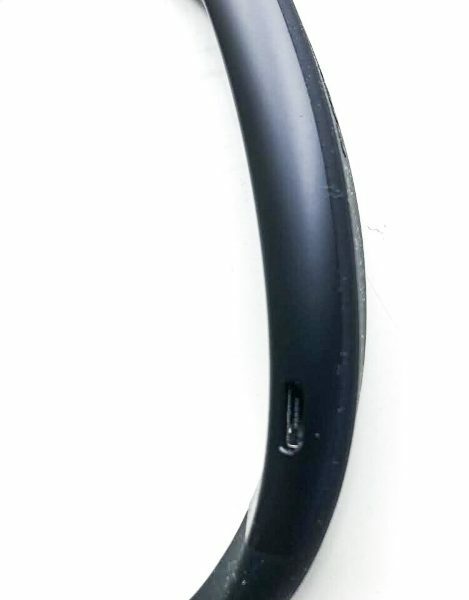 The thick part of the neckband that sits around your neck includes the charging port, and it also vibrates when powered on or off, when the headset connects to your Smartphone or computer, etc., and when there is an incoming call. 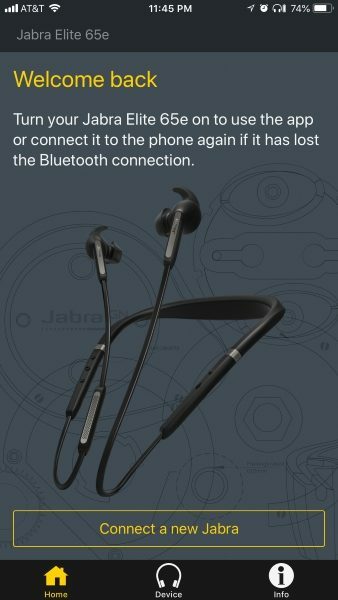 Although I am a big fan of completely wireless earbuds and not a big fan of the neckband, I must say that I LOVE this Jabra headset. It remains charged for quite a long time and recharges quickly. However, those features are just the tip of the iceberg. When placed around my neck, the headset fits so well that I forget that it is there. The fit of the earbuds in my ears is comfortable and secure, and I can wear them for a long time. The buttons function well, and the voice commands are clear and make sense. 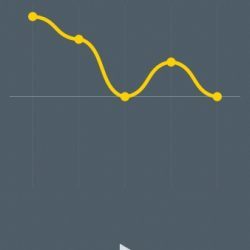 In terms of the sound, the lows, mids, and highs are well balanced and just sound great, and there is a built-in volume limiter that limits how loud they get. 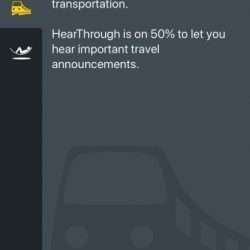 At first, I was a bit annoyed about the limiting, but the volume is more than adequate, and this feature will likely preserve my hearing. 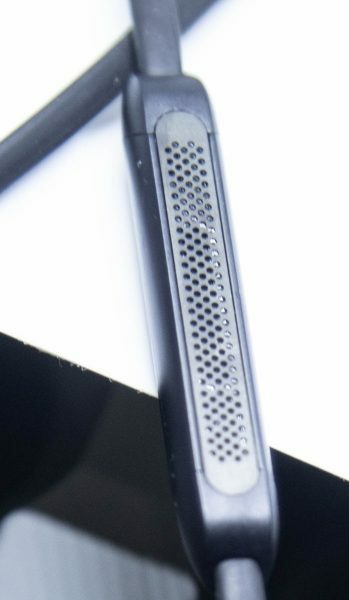 Phone calls are clear on both ends, and the Bluetooth connection is very reliable with very few disconnects. 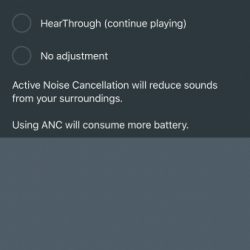 The accompanying Jabra Sound+ App is a nice feature, and the ability to equalize your music especially when switching genres is nice. I listen to Contemporary Jazz, R&B, Gospel, Easy Listening, some “borderline” classical music, etc. 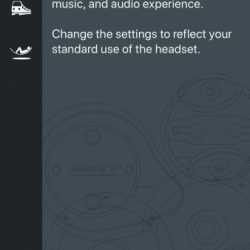 The Jabra Sound+ App allows you to customize your music along with handling other functions. 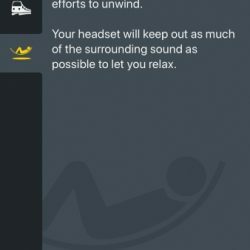 You can manage the Automatic Noise Cancellation/HearThrough, enable or disable vibration, manage voice prompts, equalize your sound, as well as register your headset for the 2-year warranty and get any firmware updates. The pictures below show some of the available screens and choices. I love the quality of the build of this headset, the built-in features and functionality, and the fit and finish. Holding them in my hand just gives the feel of a quality product. The sound reproduction is pretty darn good, and they are really comfortable to wear. I do think that while this headset is well built, the magnets that hold the earbuds together could be a bit stronger. I am not sure how that would affect performance, but they do constantly separate while I am wearing them, and on a couple of occasions, the headset fell from around my neck after the magnets separated. 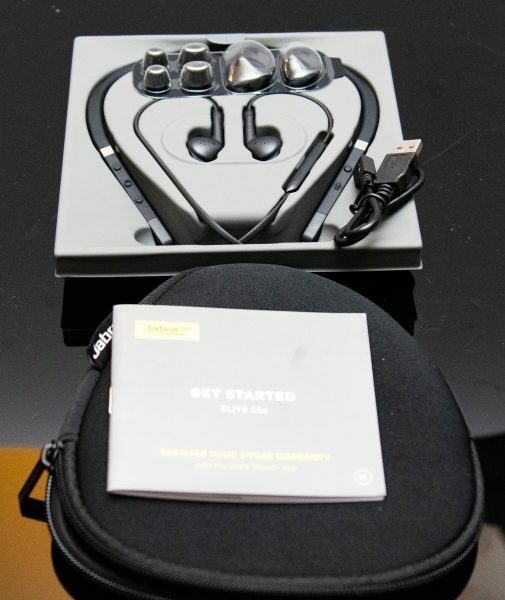 Source: The sample for this review was provided by Jabra.